Cleveland driving school is one of the longest established driving schools in the Redlands area, having established itself in 1989 with one vehicle, it now provides lessons today in six up to date model vehicles. 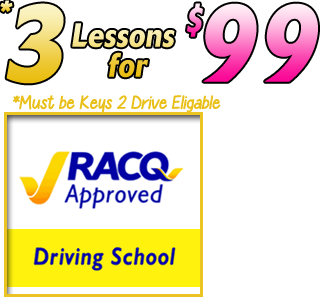 We are proud to be the only driving school in Redlands that is RACQ approved, giving you peace of mind. 6 new model cars to choose from. To view Licence Fees, or to find out what ID you need to get your licence, click on the links below.